Spreadsheet Calculator consists of a set of simple and complex calculation schemas for many areas of structural engineering. It provides a practical representation of codes and standards that can be used when performing calculations as well as detailed formulas for specific engineering problems. You can create complex calculations by selecting simple problems. You can also add custom calculations to the existing schemas or create new schemas using the Spreadsheet Calculator tools. This way you can build a library of custom applications. Parameters can be exchanged between schemas so the output of a given calculation can serve as the input for other calculations. You can have an unlimited number of new schemas, codes, libraries, languages. Because Spreadsheet Calculator is built on COM technology, you can exchange information among other programs and engineering tools. 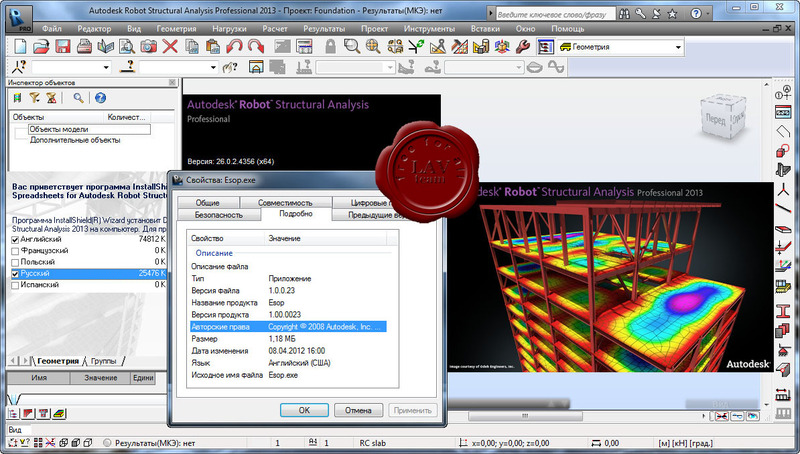 Output from Spreadsheet Calculator can be read as input into the Autodesk Robot Structural Analysis program. There is no need to type the information. You can generate structure models using the Autodesk Robot Structural Analysis program. You can perform a detailed analysis of structure data. Calculations are presented as complete technical documents (containing detailed formulas, code references, and drawings. A generalized schema of a library module as well as its graphical form is maintained for all engineering problems.